Open’n’Shut is Adelaide’s largest independent manufacturer of roller shutters. Our fantastic products, backed up by excellent customer service, means we have been in business for over 20 years and earned a reputation for great quality roller shutters at unbeatable prices. As a family run business, we take ownership and pride in all that we do. We are proud to be a South Australian company, offering 100% Aussie made shutters, blinds and security doors whilst creating jobs in Adelaide. 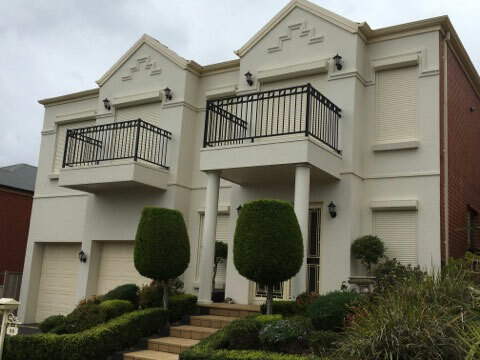 As you are dealing direct with the owner and manufacturer, we pass on our savings and can guarantee you the best priced roller Shutters in Adelaide. Don’t buy your roller shutters until you have had a quote from us – you will be surprised and delighted by the huge savings we can offer and we will beat any genuine quote. As trusted professionals, we take care of everything, we custom make your roller shutters to your exact measurements, manufacture them and install them. There are no middleman margins to pay and one point of contact for all your needs. We are open every day from 9am-5pm and are always around to take your call, so you can just sit back and relax, knowing you are in good hands. Rollers shutters can offer savings of up to 30% on your heating and cooling bills by keeping the intense Adelaide heat out in summer and trapping the heat in during winter. If you are out at work during the day, closing your roller shutters can dramatically reduce the amount of heat entering the home, keeping your house nice and cool for when you return home from work. Roller shutters give added security to the home as they protect the windows and prevent them from becoming a point of entry to a potential burglar. If you live by a busy road or close to a school or airport, roller shutters can help with noise reduction. They have been found to absorb up to 50% of noise, to make your environment more comfortable. Roller shutters provide excellent UV protection to prevent carpets and furniture from fading and also provide added security from the elements during severe storms and high winds. They can prevent the windows and doors from rattling, reduce or eliminate draughts and offer great protection to the windows from any flying objects. Our bushfire rated roller shutters also provide essential protection for your home in the event of a bushfire. Whatever roller shutters you want, we will take care of you. 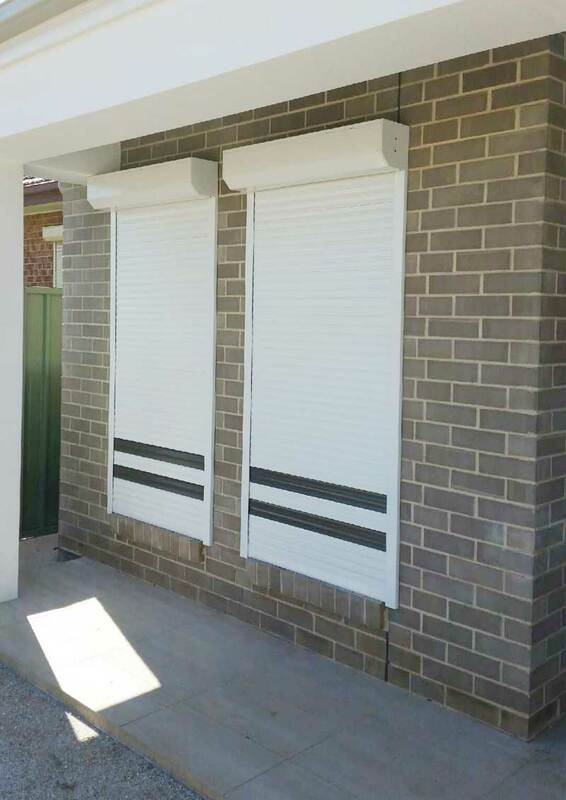 We manufacture, supply and install roller shutters and security shutters to both commercial and residential projects all over Adelaide. No job is too small or too large, so whatever the size of your roller shutter requirements, from one or two windows through to a whole house or factory, we would be happy to quote your job. Live in a bushfire or high wind area? No problem, we manufacturer the full range of roller shutter profiles and are pleased to offer both bushfire and cyclone rated roller shutters. Our bushfire rated roller shutters have been extensively tested by CSIRO. When tested against severe bushfire conditions (stimulated), no ignition or flaming was observed, and they were able to withstand a maximum radiant heat exposure of 40kw/m2 after 60 minutes. Hence our Bushfire shutter has received a Bushfire Attack Level (BAL) of 40. Buying new roller shutters or window coverings can be a stressful time, so we aim to make things as easy as possible. Our friendly sales consultants will come to you, for a free no obligation quote. They will talk you through our great range of products, colours, and controls (we offer manual or remote-control roller shutters) and can advise you on the options best suited to your needs and budget. It’s easy to pay too, we offer no deposit, 50-months interest-free finance subject to a credit check. Open’n’Shut supply and install most products within 3 -5 business days, so if you need something installed on a tight timeframe we have got you covered and what’s more, everything we do is backed by a 5-year guarantee which covers both parts and labour. Can you see through roller shutters or are they room darkening? Roller Shutters are a versatile solution as they offer privacy and allow light and air to flow. Alternatively, they can be fully closed to have a room darkening effect which is ideal for shift workers or young children who need to sleep in the day. At the top of each slat, there are small perforations which allow light and air to flow freely. Simply deploy the shutter and stop the winder just a couple of centimetres before reaching the bottom of the window to retain airflow and visibility; Otherwise, to create a full room darkening effect simply wind the shutter down until it locks into position at the base of the window. If you select manually operated roller shutters, do you need to go outside to operate them? All shutters – manual, battery or mains operated are deployed from the inside of your home. Can you use roller shutters on a two-storey home? Roller Shutters are a great solution for two-story homes especially those in high wind areas as they protect both the window and window frame from the elements. To install roller shutters on a two storey home will use scaffolding to access the second storey windows. If I install roller shutters, how would I get out in the event of a fire? In most situations, the main exits from the home in the event of a fire will be through the doors. Manual roller shutters will operate in the event of a fire, along with mains connected roller shutters providing there is no interruption to the power supply. However, battery operated roller shutters are the ideal solution if you are concerned about fire as they operate quickly and effectively independent of the mains power supply. I have an electric (mains operated) roller shutter – will it work in a power outage? Mains operated roller shutters will be inoperable in the event of a power outage. However, if this is something that concerns you, battery-powered roller shutters may be your ideal solution. Can I convert my manual winder roller shutter to be automated? Yes, most manual roller shutters can be quickly and easily converted to battery powered or mains operation. This is something we regularly undertake for clients who want the added convenience of push-button operation or those who find themselves less mobile. I have a large patio door, what is the largest window width I can use a roller shutter on? Roller Shutters can be used on widths of up to 3.6m wide. If your opening is larger than this, we can easily supply a commercial roller shutter or can install two domestic roller shutters side by side. Can roller shutters be used as a garage door? Domestic roller shutters cannot be used as a garage door. However, we can supply commercial roller shutters to suit this application. We take care of everything from the initial measure through to installation. All you need to do is provide clear access to your home or business and we will take care of th rest. How soon can you install my blinds? As the supplier and manufacturer of our roller shutters, we have full control over your order and can have your shutters installed within 3-5 business days from the day we measure up. Installation times vary depending on the size of the window, its location (first or second storey) and the type of installation eg. manual or mains connected. However, as a rule of thumb it takes around an hour per window to install and test your shutters. Yes, you need to be there to give us access to your home. For your convenience, we always give you an installation time and our installers can call you about half an hour before they arrive if required. What if something goes wrong with my roller shutters? Roller shutters are highly durable and should last you many years before you encounter any problems. In the unlikely event that something goes wrong, simply give us a call and we will come out and take a look at your shutters. For your peace of mind, all our roller shutters come with a 5-year limited warranty covering parts and labour. Open’N’Shut offers a full roller shutter cleaning service. We will come to your home, take your shutters out, thoroughly clean them front and back, and then replace them. Alternatively, you can clean your roller shutters using a sponge and dishwashing detergent. Should I have my roller shutters serviced? Our roller shutters are some of the most durable on the market, built to withstand the harsh Australian climate while being low maintenance. Our shutters do not need to be regularly serviced, but if you do encounter any issues simply call us and we will come and take a look. What do I do in a storm? A soon as you are notified that a storm is approaching, simply deploy the shutter until it locks into the closed position. Roller shutters will provide the ultimate weather protection as well as dampening the noise of the storm. Open’N’Shut for your roller shutters, plantation shutters, outdoor blinds, window furnishings & security doors.